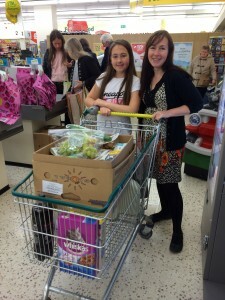 I just love supermarket shopping and we are lucky enough to live quite locally to a medium sized Morrisons, so when I saw that Britmums were asking for us mums #MorrisonsMum to do some bank holiday shopping it seemed like the perfect task for me! I applied and was amazed to receive £80 worth of vouchers to spend – just fantastic, with 6 of us in the family it was a lovely surprise to receive in the post. 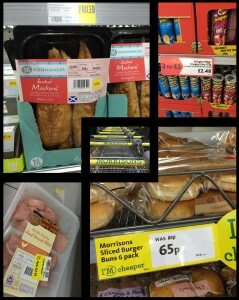 I love the local Morrisons, it always has a great reduced section which I hover at to see what bargains I can find. I also use other supermarkets and the local market depending on what I am buying, but Morrisons always seems to give me the best value for money. I made a meal plan for the weekend and went armed with this, my vouchers and my 10 year old daughter Charlotte who found the whole thing quite exciting! We noticed that all round the store there were signs saying I’m Cheaper all round the store, they showed us some superb discounts on a huge amount of products, quite a few of which we needed for our meal plan. What is even better is that they are staying down in price too – so we whizzed round and got out trolley full to the brim with yummie Morrisons bargains. 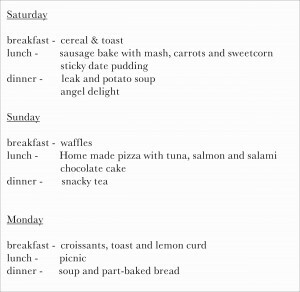 I was really impressed with the reductions, my usual mackerel had 1/3 off, and the savings on meat were simply amazing. Matthew decided to make this; it is a firm favourite of his. I got the recipe from another shopper who I got chatting too. The method is simple, chop the onions finely, mix them with the sausage meat and fold into the roll of pastry, bake for 45 minutes and serve with vegetables and even gravy. It is a mega cheap and filling meal and it usually lasts for two meals even in our large household! 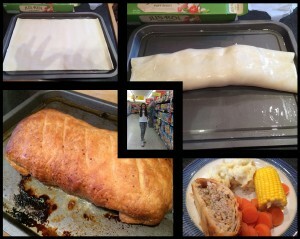 The total cost for the sausage roll was £4.31, and I added to that a bag of carrots for £1, some corn on the cob for £2 and some potatoes £2 making a total of £9.31 divided by 10 portions makes it a bargain price of under a pound a portion! 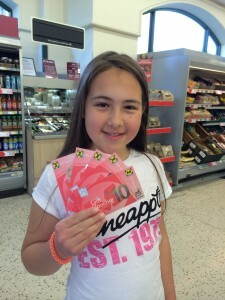 I spent all my vouchers as my trolley full of goodies came to £77 – I even got rewarded with a fuel voucher at the end of my – my daughter said it was like an episode of extreme couponing – except the till didn’t break down! Dry skin? Try the Aquaphor solution! Allyson Ortiz on Easter bakes with lots of the chocolate stuff!